The composition, scored for oboe, bass clarinet, and violoncello, was included on a program that is dedicated to the anniversaries of the births of Pushkin (210 years), Gogol (200 years), and Futurism (100 years) and displayed music of the St. Petersburg school of composition. At this concert, Hosseini joined renowned composers Sergei Slonimsky and Georgii Furtich in closing the conference, which this year focused on Russian Classical LIterature in the Context of Modernism. Following the concert, Hosseini gave a performance of his recently completed Baluch for instrumental ensemble. This work was selected for inclusion on the October 22nd concert in the series Saint Petersburg Renaissance, regularly presented at the Saint Petersburg Conservatory. The evening's festivities were dedicated to remembrance of Russian composer Uri Kachurov and included presentations of present-day composers living in Saint Petersburg. This performance was given by an ensemble formed of soloists from the St. Petersburg Conservatory and the St. Petersburg Cappella Orchestra, and was conducted by Brad Cawyer, an American conductor based in Saint Petersburg. Baluch had been presented in part in June of this year, receiving a positive response, but at this recent it was given in its full version for the first time in public performance. Mehdi Hosseini was born in 1979, in Tehran, where he studied music theory, Persian music and composition with Farhad Fakhredini. He later completed his Bachelors and Masters degrees in Composition at Saint Petersburg State Conservatory in St. Petersburg, Russia. There he studied composition with Alexander Minatsakanian and afterwards took a postgraduate course with the composer Sergei Slonimsky and conducted research on Eastern music with Professor Tatiana Bershadskaya. Apart from his education in Russia, Mr. Hosseini has also been a student of the composer Nigel Osborne. He has demonstrated his creative capabilities as a composer and his research abilities as a ethnomusicologist and theorist. 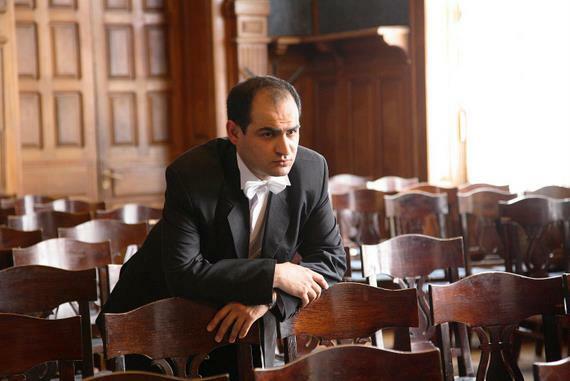 Hosseini has written symphonic music and chamber orchestra pieces for ensembles and soloists in various compositional genres. In the latest news about Hosseini and his work, Kompozitor Publisher has selected the composer's String Quartet No. 2 for publishing in October, followed next year by his Concerto for String Quartet and Chamber Orchestra. Kompozitor Publishing is the oldest publishing house for music literature in Russia; the majority of its output focuses on representatives of the St. Petersburg composition school, printing the works of classic authors such as Glinka and also contemporary greats like Slonimsky.